You Can’t Cheat Death: ‘Final Destination’ Turns 18 Years Old! Death is a common theme in the movies that we watch. From horror, thriller, action/adventure, romance, drama and even the superhero films, death comes for the characters that we follow. We don’t want them to die, but we know that sooner or later, their time is up. For years, horror films utilized the physical trait of an actual killer hunting down teenagers and other unlikely people. With Final Destination someone is doing the killing, but this time no masks are worn, no weapons are used, and no one gets away safely. Jeffrey Reddick (the creator of the franchise) is the man we can thank for making us paranoid whenever we get on an airplane wondering if something will go wrong, or the moment we see a semi-truck hauling tree logs and quickly getting out of its path on the off-chance that one of those logs will jar loose onto the freeway. His screenplay introduced death in a non-physical form, something that is there yet we can’t see it, touch it or hear it; and yet it succeeds at getting what it wants. Final Destination tells the story of a group of people who avoided death and messed up the design for which Death will be coming for them. It’s an intriguing idea and when you think about it, Final Destination is identical to a slasher film without being a slasher film. It all starts when Alex Browning (Devon Sawa) gets nervous about flying when his class is going to Paris. He notices things that most travelers wouldn’t and has a premonition where the plane explodes shortly after take-off. He awakes to discover that he’s on the plane moments prior to leaving the gate. Everything feels all too real and Alex urges everyone to get off the plane and makes the mistake of screaming, “The plane is going to explode!” This causes him to be removed from the aircraft along with several others. The plane soon leaves and to Alex’s surprise as well as the others with him, the plane explodes killing everyone onboard. Life changes for everyone and Alex has a hard time dealing with what just happened, especially when the FBI questions him about knowing that the plane was going to explode. Death begins to complicate things when one-by-one the survivors (the ones removed from the plane) start dying in strange ways almost mirroring a horrific accident. What’s interesting is the character of William Bludworth (Tony Todd) a mortician who knows a thing or two about how Death operates. Death itself is a character in ways of how it goes to great lengths to kill the survivors of Flight 180. Bludworth returns in Final Destination 2 & Final Destination 5 to inform the new batch of survivors of how death comes for us all. I remember when Final Destination 2 was released and how everyone talked about the tree logs on the freeway, but don’t recall the first film. Whenever I do fly, I’m usually afraid of taking off and after seeing the first film, no matter how many times I fly, that premonition scene still pops into my head. If you go back many years before Final Destination was released, it started out as a spec script for The X-Files back in 1994 but nothing ever materialized. The X-Files dealt with aliens and government conspiracy mainly, but the paranormal was a big topic too. It would’ve neat to see Mulder and Scully investigating freak accidents as Death completes the list of who lives and who dies, the cycle of life. Director James Wong and Glen Morgan reworked the script to their liking and delivered an experience that stills stay with me to this day. I’ve had premonitions before but nothing in the sense of Death coming for me. Whenever I have a premonition, it does feel like Deja-Vu and at times it can be quite unique if not creepy in some sense. We all have that spider-sense feeling whenever we don’t feel safe or are unsure of something. We must listen to those signals and Alex did, only thing he didn’t expect was a supernatural force coming back for him and the remaining survivors. It’s a lot of fun once Alex starts figuring things out and realizes that Death has a design for everyone, but if you can figure out the design, does that mean you can cheat death? Final Destination works as a horror film and one that keeps you on your toes. It isn’t one of the horror flicks where the characters are so stupid by tripping over nothing or somehow the killer can catch the person so quickly; Death is everywhere and how can you possibly escape something that is all around you? Final Destination has since turned into a franchise spawning four sequels. My favorites are the first one and Final Destination 5 for its unique spin on the series. The in-between sequels to me felt as if they were squeezed out to make a buck at the box office. Don’t get me wrong, the premonitions were cool and all, but the deaths themselves became almost laughable with no real suspense prior to the death strike. Plus, the deaths happened too quickly after the premonition. We didn’t get to know the characters and nothing about them stood out, except for some silly deaths. Anyone remember the car engine hitting the guy in Final Destination 3? The sequels felt formulaic and added nothing new to what we didn’t expect from the first film. Final Destination 5 brought back the suspense and added something new. The result was quite a surprise. I do enjoy sequels as long as they are good, and the Final Destination series has one good one. There were talks of part six and seven that were planned to be filmed back-to-back if Final Destination 5 was a success. That was said back in 2011 and there is still no word yet. Do I want another Final Destination film? Yeah sure, but I have my restrictions. I love a good horror film but I need to be on the edge of my seat and I need a lot of suspense. 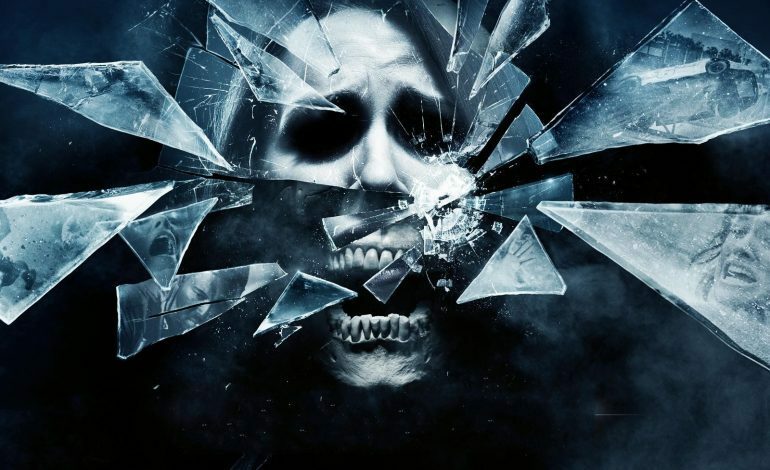 Final Destination 5 was a big surprise and one that I enjoyed as much as the first one, the other sequels you could just simply skip and you wouldn’t miss much, well except for some over-the-top deaths that are as ridiculous as they sound. I liked being surprised and expecting the unexpected. Give me that, and I’m sold. One common misconception is that Final Destination is inspired by the TWA Flight 800 crash, but again, the spec script for The X-Files was written in two years prior to that tragedy. But if you think about the franchise as a whole, accidents that occur in the movie do happen in real life. From numerous plane crashes, freeway pile-ups, theme park accidents, racecars crashing into a crowd of people and a bridge collapsing; The Final Destination series is far from implausibility. Final Destination is a unique spin on the slasher/horror genre; sort of like Scream did. It takes a common thread and throws a wrench in it. While some critics say the films are nothing different from other slashers, I believe that Final Destination is one that stays with you more than Michael Myers or Jason Voorhees ever will. Imagine waking up one day and wondering to yourself, “Have I been here before? Haven’t I already experienced this?” Now those are the things that will keep me from crossing the street without looking or watching cars more carefully on the expressway. Thanks for the paranoid thoughts Mr. Reddick, you’ve given more things to keep me awake at night!